The Manchester & Salford Junction Canal meets the Rochdale Canal immediately above Tib Lock 89 near the middle of the Rochdale Nine Locks. The photo is looking into the Manchester & Salford Junction Canal. 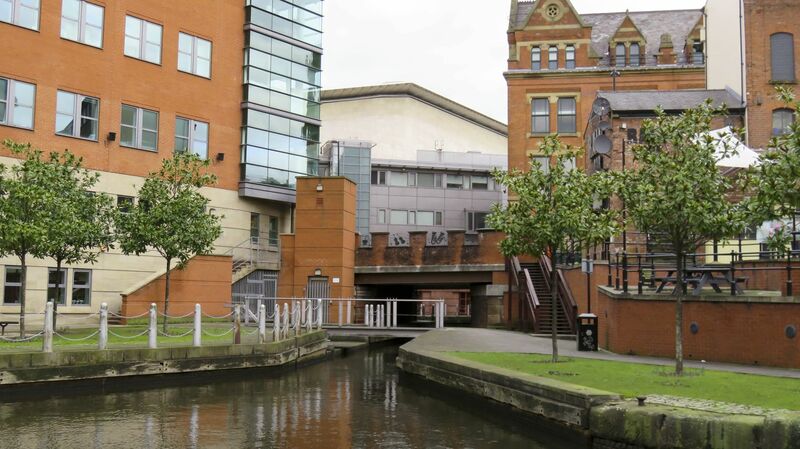 The Rochdale Canal runs across the foreground, heading downhill to Castlefield Junction to the left, and uphill to Ducie Street Junction to the Right.